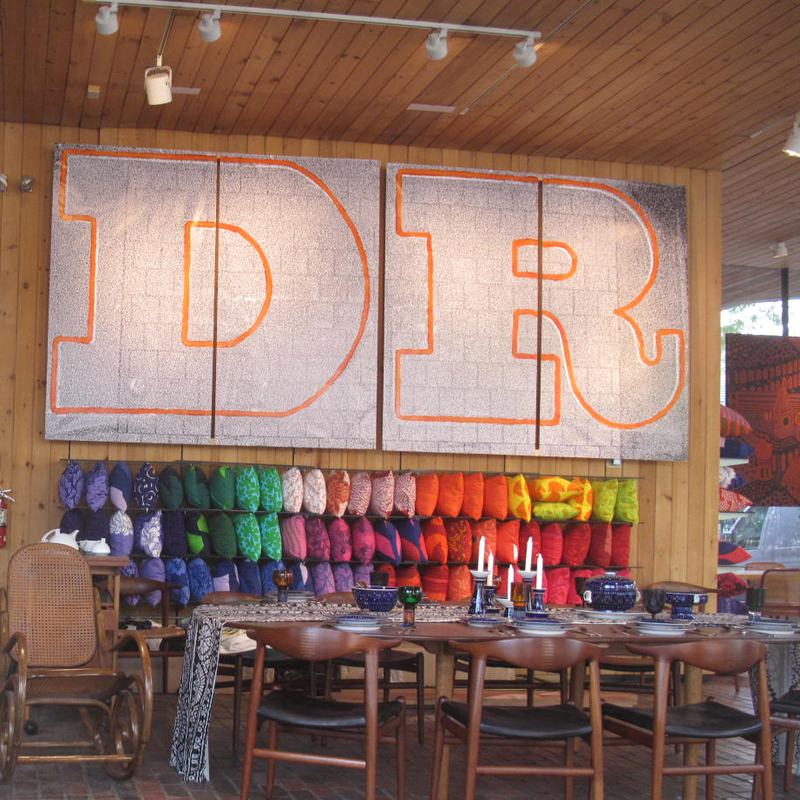 Strolling down Brattle Street in Harvard Square, one can't help but notice the new vibrant swathes of color and fabric trumpeting from the windows of the Design Research Building. 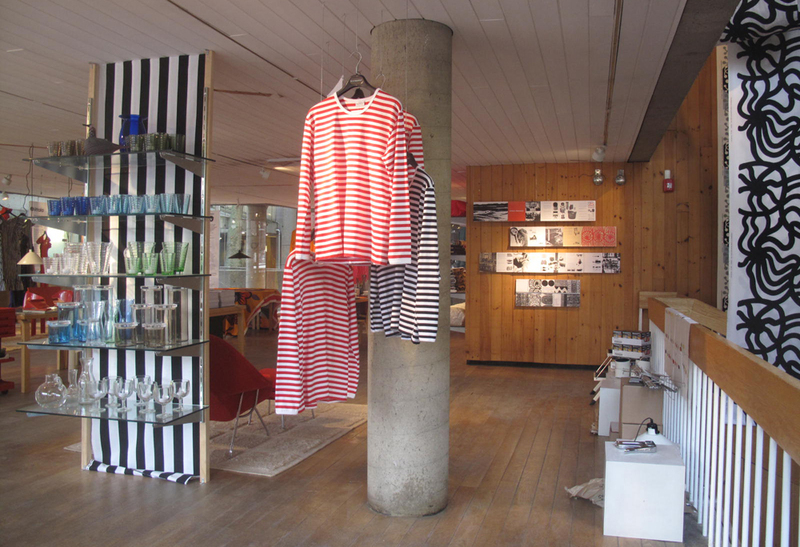 What had previously been an empty storefront in the famed Design Research (D/R) building is now a temporary home to a vast eyeful of Marimekko and iconic Finnish designs. 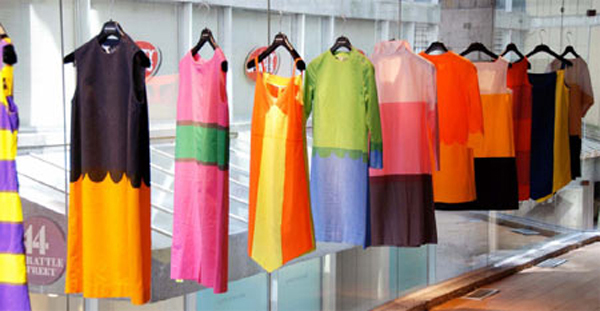 Closed in 1978, D/R and founder-architect Benjamin Thompson made the 'art as lifestyle' company the first retailer to bring the Marimekko brand to America. 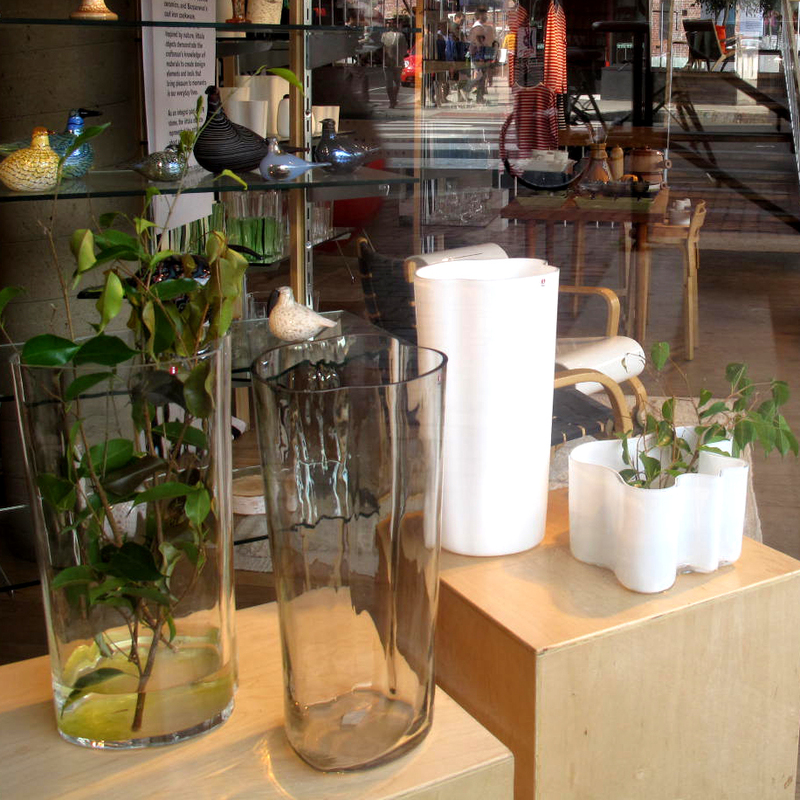 This latest exhibition is curated by Jane Thompson, his wife, and celebrates the 40-year anniversary of the revolutionary frameless glass store in Harvard Square. 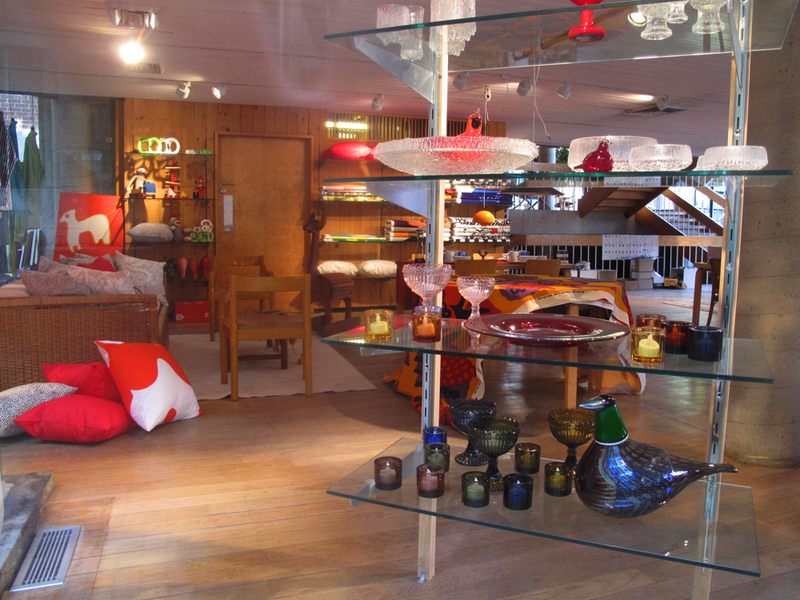 Along with over 300 vintage dresses and textiles, the retrospective display includes Alvar Aalto vases, birds by Oiva Toikka, colored votive lights by Orvola, Kaj Franck's Teema ceramics, and Sarpaneva's cast-iron cookware. My only grouse is that it is solely a window exhibit, in place until winter 2010 -- conceivably while the building waits for its next tenant (similar to Windows of Opportunity and other recent storefront art initiatives). I was one of many onlookers peering through the glass yesterday, yearning fervently to be inside, pretending to don that dress Jackie O wore during JFK's presidential campaign. I guess the next best thing would be to head to the Marimekko concept store that opened last year, located just a few hops away in Huron Village in Cambridge.